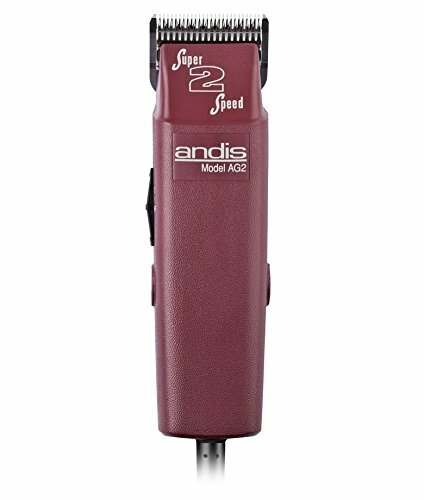 The Andis AG Super 2-Speed Detachable Plus Clipper runs at up to 4,400 strokes per minute due to it�s heavy duty, high speed motor. The unit is equipped with a 4 x 4 blade drive for 25% more blade torque. The AG Super 2-Speed Clipper is the ultimate grooming tool with it�s power, control, and versatility. The unit features a 14� cord. The shatter-proof housing is contoured to fit comfortable in your hand. This clipper is designed and manufactured for years of reliable use. The clipper comes equipped with an UltraEdge #10 blade and works will all Andis UltraEdge and CeramicEdge blades. The blades are also compatible with most detachable-type clippers and the Oster Model A-5. Designed and engineered in the United States, Andis also offers a complete line of quality clippers and trimmers for consumers and animal grooming as well as a full line of wall mounted hair dryers for the hotel industry. Andis warrants its products to the original purchaser against defective material or workmanship for one years from the date of purchase. All implied warranties are also limited to one year. Andis will replace the product without cost to the consumer. The defective unit must be returned to: The Andis Co., 1800 Renaissance Blvd., Sturtevant, WI 53177. To reach a customer service representative, please call 1-800-558-9441.